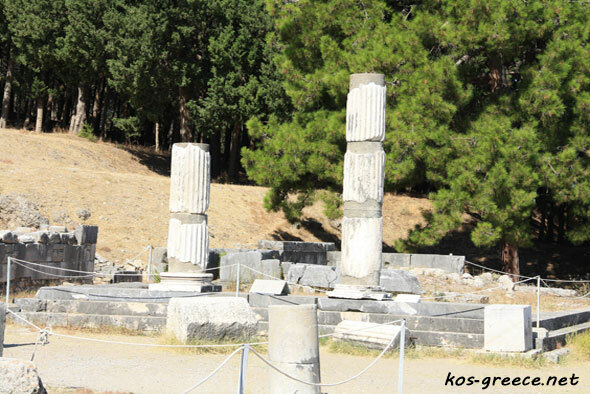 Asklepion is probably the major attraction of Kos Island. According to ancient Greek mythology Asclepius was the god of medicine and healing. He was the son of Apollo and Coronis or Arsinoe. It happened that while she was pregnant she was unfaithful to Apollo. He got so angry with her that she was burnt on a pyre. As for his son the father rescued him but sent him to the Earth where later the boy was carried to Chiron who was considered to be a kind centaur. He raised Asclepius and taught him the art of healing. Asclepius became such a great healer that he even learned the art of raising the dead which meant that he reached immortality. The gods got angry and they killed Asclepius. But he returned from the Erebus and became the god of healing. According to legend, Asclepius had three sons who became great healers too. According to one of the legend’s versions, even Hippocrates and Aristotle were his descendants. 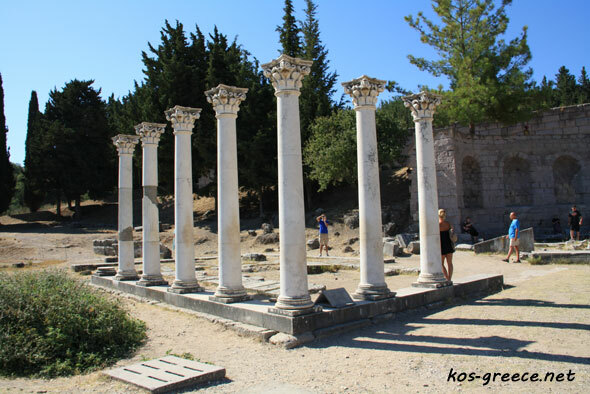 According to another version, Asclepius was teaching people the art of healing on Kos Island. Asklepion was an institution where healers were curing their patients, trying to systematize medicine and teaching other people the art of healing. It was also the temple of the gods who in one way or another were concerned with medicine. A total number of Asklepions in the world was more than 300. 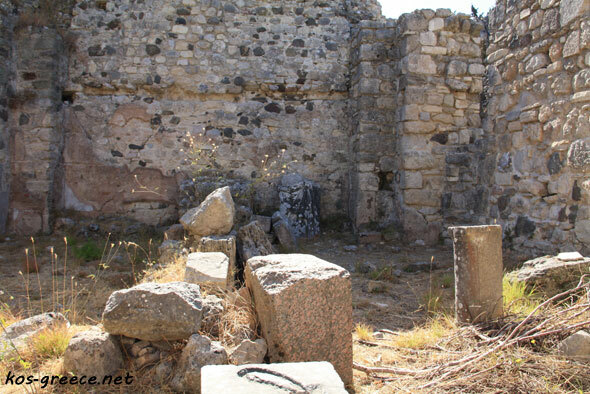 But Asklepion on Kos Island was one of the largest and well-known of all. It dates to around 400 BC. 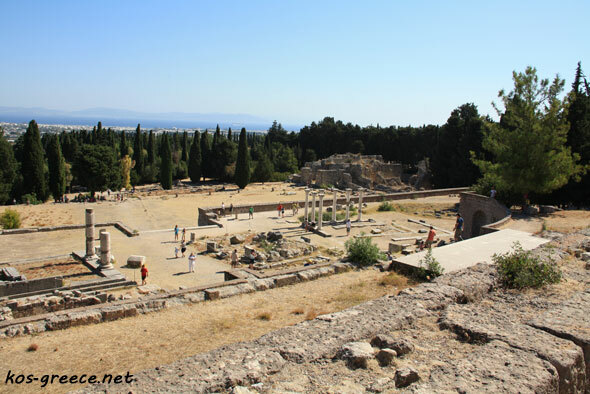 The Asklepion complex is located on a small hill around 4 km east of Kos town. The entrance fee is 3 euro. 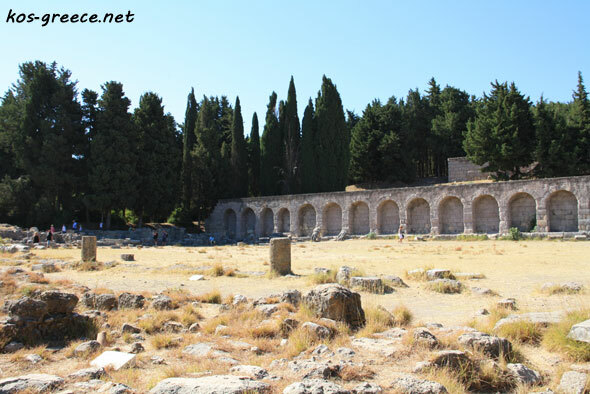 Asklepion consists of three terraces. On the lowest level the medical school was housed and it was the institution where medical knowledge was being systematized. It also contained rooms for visitors’ offerings, waiting rooms and precincts for patients. The second level holds temples. There are also some restored columns belonging to the Temple of Apollo. This level also held the medical center where hydrotherapy was used for healing. There were thermal baths and a complicated piping system which provided the site with a constant supply of pure water from springs like e.g. from the spring of Vournika, the so called “red water” rich in salts, magnesium and minerals. Finally, on the third terrace the remains of the large temple can be seen. There is an opinion that only the aristocracy could enter the temple. Nowadays from the highest terrace you can enjoy a breathtaking view of the town of Kos and nearly the entire eastern part of the island. 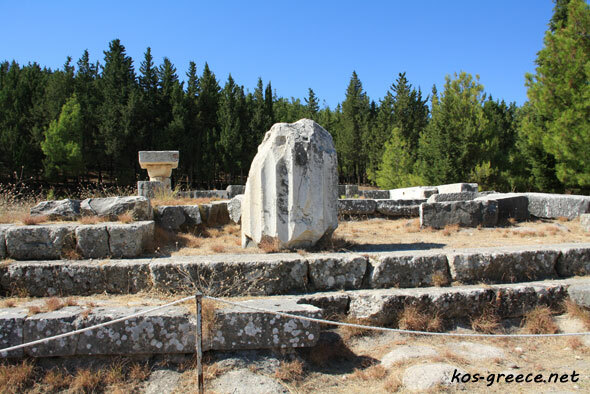 Asklepion is surrounded by the forest which in ancient times was considered to be a holy place. After we spent some time walking around and taking photos of Asklepion and the views of the island we made our way to the village of Zia. 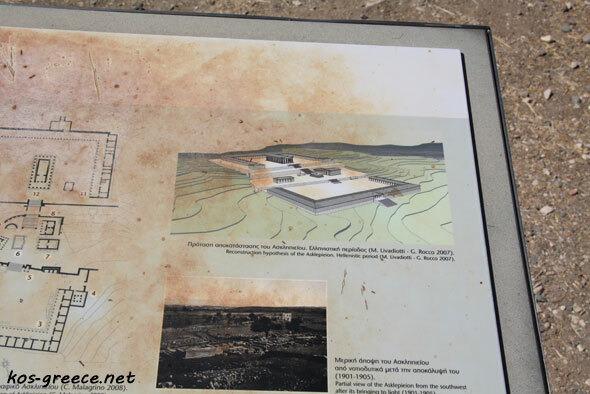 You can view the photos in the section “Kos pictures”. Very interesting to see, lovely views. Staff not very tourist friendly and need a some basic training and manners. Information is sparse and poor. Cost a bit high for what’s on offer. Need to up their game somewhat.